If you’re coming from Bangkok to Siem Reap it’s worth doing your homework. There are several ways to travel from Bangkok to Siem Reap in 2018, and most fall into one of two categories: “fast and expensive” or “cheap and annoying.” Flying is fast and expensive and going overland is cheap and time-consuming (but offers considerable fodder for amusement). In this post, I’ll cover the best ways to get from Bangkok to Siem Reap as well as what you need to know about visas and the border. Bus: Costs $20-32. 8 to 10 hours. Book tickets: Giant Ibis or Nattakan. Taxi: Costs $95-120. Can be a hassle. About 8 hours. Plane: Costs $70-300. Fastest method, but somewhat unreliable. About 1 hour. Getting a visa: The quick and dirty on getting a Cambodia visa. 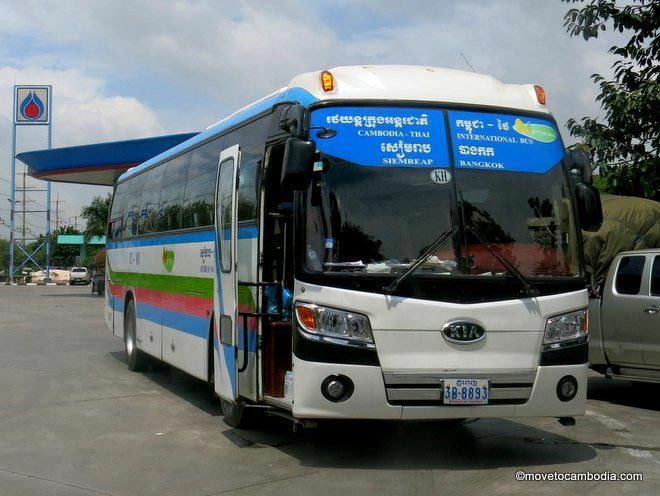 Your chariot: The direct bus from Bangkok to Siem Reap. If you’re on a budget and don’t want to take a taxi, the easiest way to get from Siem Reap to Bangkok is by direct bus. Direct means that you don’t have to change buses at the border or haul your luggage over the border — it stays on the bus while you get your visas. While many buses advertise themselves as direct buses, there are only two companies that are true direct buses: Nattakan and Giant Ibis. Transport Co./Nattakan, run by the Thai government, runs buses at 8 a.m. and 9 a.m. every day. They use a full-size bus with comfy seats and significantly more legroom than you’ll get in a mini-bus. The trip takes between 8 and 10 hours. For more info, read my full review of the Bangkok to Siem Reap direct bus. Tickets for Nattakan buses can be bought online and allows you to reserve a seat in advance. Tickets cost $28 in either direction, plus a booking fee of less than $1. The procedure is simple and you’ll receive an e-ticket that you can either print out or present on your phone when you arrive at the bus station. It is best to reserve in advance because they are often sold out on the day. Giant Ibis, a company with great reputation in Cambodia, are now running buses between Bangkok and Siem Reap. The full-sizes buses are new, the drivers are good, and the attendants are friendly and help you through the visa process at the border. Although the tickets are expensive, it seems worth the price. The Giant Ibis Siem Reap Bangkok direct bus leaves from 7:45 a.m. Tickets cost $32 and can be purchased online for a small fee of less that $1. With an online booking, you can choose and reserve your seat in advance. The cheapest way to get from Bangkok to Siem Reap is by mini-bus, but it’s more hassle than the direct bus. Mini-buses leave from Mo Chit 2, (also sometimes called Northern terminal) in Bangkok and depart every 30 to 45 minutes from early in the morning until it gets dark. Be aware that the Cambodia border closes at 10 p.m. Mini-buses take about four hours to get to the border and are usually quite crowded. The price to the border is around 200 baht ($6 USD). You’ll then need to cross the border and catch another mini-bus to Siem Reap. Head straight through to the roundabout on the Cambodia side and look for a bus that already has passengers. The cost from the Poipet border to Siem Reap is $8-10 and can involve some waiting around until the bus fills up. 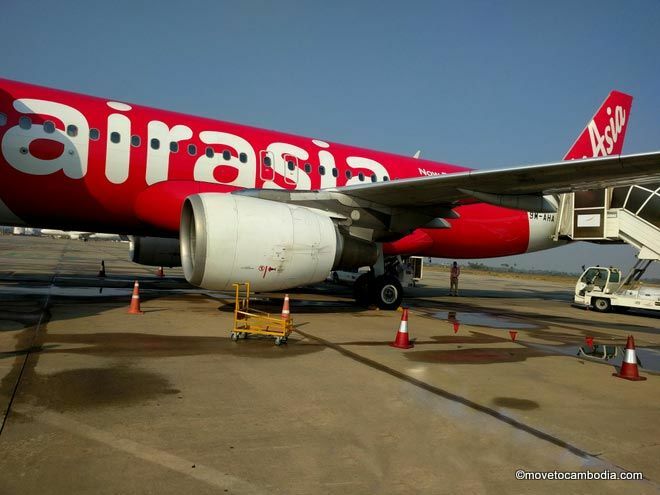 AirAsia usually have the cheapest flights from Bangkok to Siem Reap, but there are strings attached. Cambodia Angkor Air currently have four flights a week from Bangkok to Siem Reap (and there will be more during high season) starting around $80 one-way, but averaging around $200 or more during the winter months. They fly from the main BKK airport and offer 20 kgs of baggage. They are semi-reliable, although flights are sometimes delayed or rescheduled. Cambodia Angkor Air flights do not show up on flight aggregators like Kayak or Google Flights, so head to their website to check prices. Bangkok Airways flights start at around $180 and can go much higher (round-trips are better value). They fly from the main Bangkok airport to Siem Reap in smaller propeller planes. They offer a 20 kg baggage allowance, but if you sign up with their frequent flyer club they will automatically give you an extra 10kg. All Bangkok Airways passengers get access to their private lounge with free WiFi, snacks, and non-alcoholic drinks. AirAsia usually has the cheapest tickets from Bangkok to Siem Reap, starting at $70 one-way. However, baggage is not included and costs an extra 515 THB ($14.50 USD). Flights are regularly delayed by 30-90 minutes, and they fly from Don Muang Airport rather than the main Bangkok Airport. Thai Smile is an LCC owned by Thai Airways. They fly from Bangkok Suvarnabhumi Airport and tickets include 20 kg of luggage. Ticket prices start at $75 for a one-way flight from Bangkok to Siem Reap. You can easily book flights from Bangkok to Siem Reap or Siem Reap to Bangkok online and save yourself the hassle of dealing with a travel agent once you arrive. If you’d like to travel by taxi, you’ll usually need to take two taxis — one from Bangkok to the Cambodia border, then another from the border to Siem Reap. A taxi from Bangkok to the border will cost between 2,100 and 2,500 Thai baht ($60-70 USD) and takes around 3.5 hours. You’ll need to cross the border on foot, and then catch another taxi to Siem Reap.The cost of a taxi from Poipet to Siem Reap is around $35, but can cost as much as $55. On the Cambodia side the police shake down all of the taxi drivers for at least $10 of each fare, and because of this the price can be higher. Walk as far from the border as you can stand to, and don’t deal with middlemen if you want a lower price. Negotiate the fare before you get in the taxi, and do not pay the fare until you arrive at your final destination, no matter what the driver says. On our last few taxi trips we’ve had drivers stop at the border and refuse to go any further trying to negotiate a higher price. The last time, it meant a 90-minute stand-off. For this reason, taxis, even booked and paid for in advance, can be an extra hassle. Getting a Cambodia visa is simple as pie. If you are flying from Bangkok to Siem Reap, you can get a visa on arrival at the airport if you qualify. 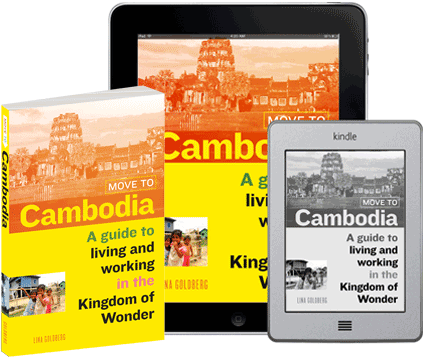 Find out more details about Cambodia visas here. If you are traveling overland, once you get to the Aranyaprathat side of the border, you will need to get stamped out of Thailand. This is a quick and painless process. You’ll also go through Thai customs, which is a formality as they never seem to check anything. After you get stamped out of Thailand, you’ll need to enter Cambodia. 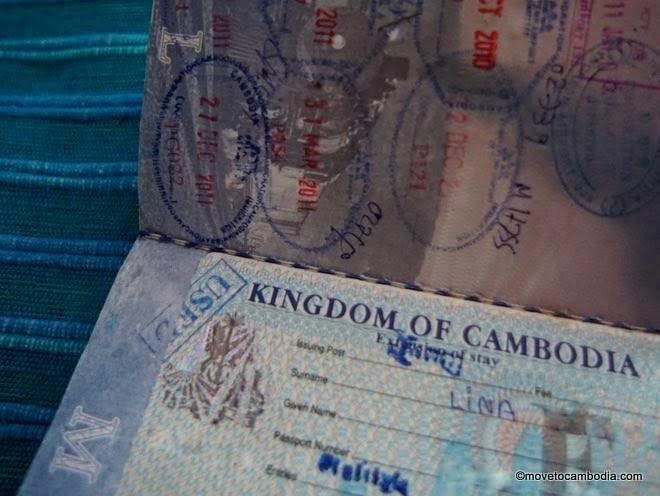 If you already have an ordinary/business Cambodia visa, they will stamp you and you will be on your way. Tourists will need to get a visa in advance or on arrival check out our page about Cambodia visas if you want to know more). A tourist visa costs $30. They will ask you for 1100 or 1200 baht (~$35) or, if you insist on paying in dollars (which you should) they will ask for $30 and a 200 baht processing fee. There is no processing fee, it’s just a bribe. Arrive early and refuse to pay and eventually they will stamp you through. They’ll make you wait around for a while, but it’s just a game of chicken. Since you’ve budgeted all day to do this, might as well not pay their lame shake-down and catch up on your Kindle. The other option is to get a Cambodia e-visa in advance, but to be on the safe side you need to order it online a week in advance, because they often don’t get it processed in their promised three-day turnaround time. The cost is $40. It saves you hassle but not money. If you’re particularly nervous about the border crossing, this might help make things easier. You do not need to change money into Cambodian riel. This is a scam. You will need US dollars for your visa (although they accept Thai Baht at a rip-off rate) and they accept US dollars everywhere in Cambodia. You do not need to pay any border crossing fees. Do not accept help from anyone who says they can help you get a visa or cross a border. Do not get a visa before you enter the official Thai visa office. Anyone who says they will get your visa in advance is trying to scam you. And that’s it — welcome to Siem Reap! Going the other direction? Read our post on how to get from Siem Reap to Bangkok. 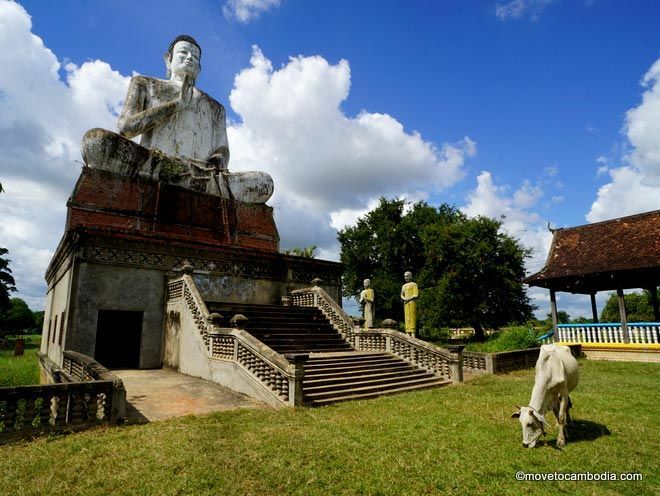 This entry was posted in Transportation, Siem Reap and tagged Giant Ibis, Cambodia Angkor Air, Nattakan Transport, Bangkok to Siem Reap, Bangkok Airways, Bangkok, Thai Smile, AirAsia. Bookmark the permalink. Just read an news-item from special press that there will be a 1/day Khmer royal-rail TRAIN Siem reap-Border (Khmer side) soon. No further details for now. IF it starts, will probably quickly be promoted on seat61.com. They are now working on renovatoion of the long SR-PP railline. Pnom Penh-SAirport opened on 10/4. Wow! I can’t wait for that. Let me know if you hear more. Hi, I went from BKK airport to Siem Reap on 29 Jan 2018. I took the cheaper and more adventure option:). Here is my trip: You can take the shuttle bus A or C from the ground floor, it is for free. It takes you to the end station which is a bus terminal. For some reason they call it Popi transport but I haven’t seen it written anywhere. I went to the counter and bought a ticket to Aranyaprathet which cost me around 120 baht. You need to change money at the airport, the best is to go to the lowest level in the arrival hall because you will get better exchange rate. Anyway, after buying the ticket, the lady tells you when the bus arrives, mine at 1pm but it actually came at 1:10pm. Then you are rolling:) It’s an awesome way. I was in a full minivan with 11 people, kind of small place but worth the experience. It took around 3,5hrs with one stop at a gas station and additional stops to unload some people on the way. From Aranyaprathet I took a tuktuk to the border. I went to Thai officials to uncheck me and then to Cambodian officials to check me, I had Cambodian e-visa for 36usd, so no worries for me here and went directly to the counter where I got the stamp and was ready to go. Where does the Ibis bus from Bangkok to Siem Reap depart from ? starts near that infamous KhaoSarn rd (office on Tanao rd.) and then also stops at Mochit for more pax.